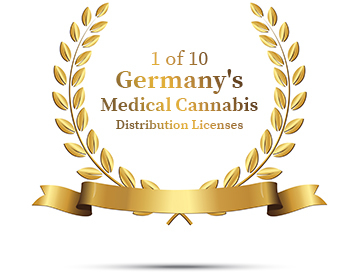 Established in 1982, Pharmadrug GmbH is a German EU-GMP-approved pharmaceutical distribution company with a Class I Narcotics license, authorized to import and distribute medical cannabis to pharmacies in Germany and the rest of the Eurozone as markets become legalized. Pharmadrug also specializes in trading pharmaceuticals and medical care products, as well as supplying finished dosage forms (FDFs), active pharmaceutical ingredients (APIs) and other healthcare products. Pharmadrug has developed strong distribution channels in Germany and to more than 20 countries internationally. According to UK based analytics firm Prohibition Partners (January 2019), as European countries combine to become the world’s largest federally regulated medical cannabis market over the next decade, the total market for medical cannabis could surpass 58 billion euros.